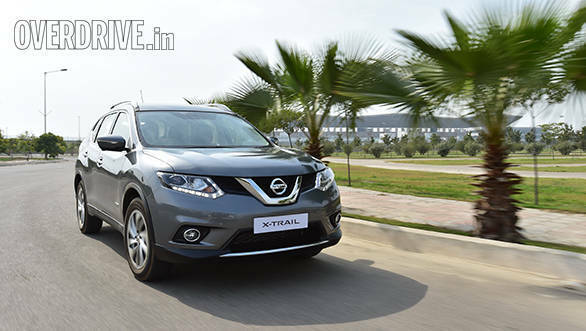 Nissan is all set to relaunch the X-Trail brand in India after it was discontinued in 2014 due to the company's increased focus on locally manufactured vehicles. We have now learnt that the X-Trail Hybrid will be launched in India in the second half this year. The company has already started testing the SUV in various parts of the country. The X-Trail Hybrid was first showcased at the 2013 Frankfurt Motor Show. Sold as the Rogue in the US, the X-Trail Hybrid is based on the CMF platform, which also underpins the redi-Go and the upcoming Go Cross but in a compact form. The 2017 Nissan X-Trail has grown in terms of dimensions as it now measures 17mm longer than the previous iteration. Additionally, the wheelbase has been further stretched by 17mm. While the previous model had a boxy design, this time around the X-Trail gets a more upmarket flowing design. The sleek headlights feature LED DRLs along with projector lamps while the V-shaped grille is finished in chrome. The side gets more evident wheel arches along with new 19-inch alloys. On to the rear, it gets wrap-around tail lights and a subtle chrome bar above the number plate holder. The changes that are seen outside are complemented with the modern cabin design. The SUV now comes equipped with a 7-inch touchscreen system, panoramic sunroof and a power lift tailgate. 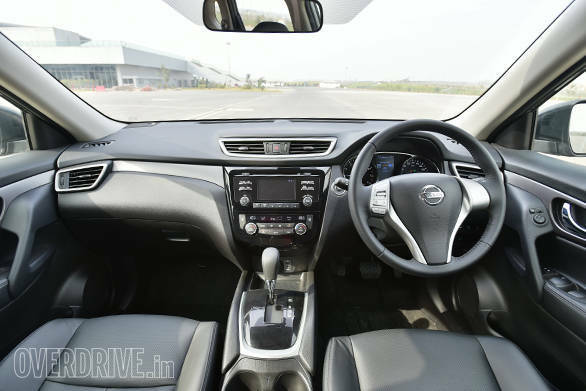 Nissan has added a feature called active ride control which automatically applies brakes and adjusts the power delivery as soon as one rides over a bump on the road. The SUV also comes equipped with hill descent control and uphill start support. The Nissan X-Trail Hybrid is powered by a 2.0-litre petrol motor that puts out 144PS/200Nm and a 40PS/160Nm electric motor, making a combined output of 185PS and 360Nm. The electric motor uses a high-output Lithium-ion battery. The 2017 X-Trail comes with an FF Hybrid System that is Nissan's tech for its petrol hybrid drivetrain for front-engine, front-wheel drive cars. 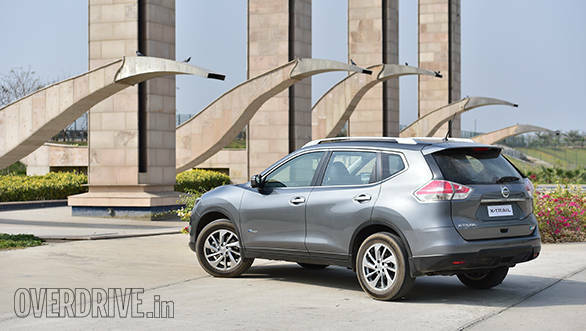 We have already driven the Nissan X-Trail Hybrid in India, read our first drive story here. 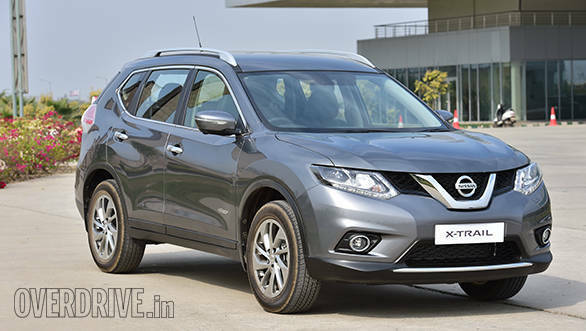 Nissan began its Indian innings by getting the previous-gen X-Trail through the CBU route. And we believe the same will be done for the 2017 offering too. The only drawback here is that the X-Trail Hybrid would not be able to reap the incentives of the FAME initiative as that is only applicable for locally assembled vehicles like the Toyota Camry hybrid. We expect the Nissan X-Trail Hybrid to be priced at Rs 35-37 lakh thereby competing with the likes of Hyundai Santa Fe and the Honda CR-V in the premium soft-roader space.